I decided to take a break from anniversary and original air date based Midweek Trivia topics this week. Since i just finished reading the book The Martian, that will be what we look at for this week’s Midweek Trivia. “The Martian” reads like a detailed survival manual, with heavy doses of brain-cramping physics and chemistry. Mr. Weir, a 41-year-old computer programmer, doesn’t leave much to the reader’s imagination.“Every time you see Mark talking about anything scientific”—pretty much the whole book—”I had to do all the math,” Mr. Weir said.He calculated the orbital paths for the spacecraft’s Mars journey, and wrote his own software to track constant thrust trajectories for the ship’s ion engine. (The length of the journey becomes a critical plot point late in the novel). To map Watney’s 3,200-plus mile journey across Mars as he attempts to reach the landing site for the next mission, Mr. Weir studied NASA satellite images and used GoogleMars, a site Google built in collaboration with NASA that details the elevation and temperatures of Mars’s surface. He figured out the chemical reaction that would allow Watney to make 600 liters of water out of hydrazine and CO2. He calculated how many calories Watney would need to survive four years—2,137,500—how many potatoes that requires, and how much formable land he would need to develop for his potato crop.Figuring out the technical aspects of Watney’s struggle helped him map out the plot. “If you get down into the deep details, the science tells you the story,” he said. To prepare to the right the book, Weir studied orbital trajectory, astronomy and the history of manned spaceflight. . He said he knew the exact date of each day in the book. According to the EncyclopediaRunByMarvinTheMarion, Weir tried a different business model when the book was initially rejected by publishers. Having been rebuffed by literary agents when trying to get prior books published, Weir decided to put the book online in serial format one chapter at a time for free at his website. At the request of fans, he made an Amazon Kindle version available at 99 cents (the minimum he could set the price).The Kindle edition rose to the top of Amazon’s list of best-selling science-fiction titles, where it sold 35,000 copies in three months, more than had been previously downloaded free. This garnered the attention of publishers: Podium Publishing, an audiobook publisher, signed for the audiobook rights in January 2013. Weir sold the print rights to Crown in March 2013 for over US$100,000. The movie was first optioned to 20th Century Fox in March of 2013 and in may producer Simon Kinbergwas brought on. Drew Goddard was hired to write the screenplay based on Weir’s book. He was also on tap to direct which piqued Matt Damon’s interest. Drew Goddard would not direct the movie, choosing instead to take the helm of a movie based on the comic book Sinister Six. Ridley Scott would go on to direct the movie. Drew Goddard would have to accept the consolation prize of the adoration and praise of Marvel fans for his excellent Daredevil adaptation on Netflix. He never expressed bitterness towards Ridley Scott and praised the movie. Waid Run in Jordan was used for a practical backdrop. It has been used in other Mars based movies such as Mission to Mars (2000),Red Planet (2000), and The Last Days on Mars (2013). There you have it, a little insight into a really well written book and A really good movie. That’s all for this week, but i’ll see you all next week on Midweek Trivia. Alter, Alexandra (February 14, 2014). “A Survival Guide to Mars”. Wall Street Journal. RetrievedMarch 28, 2014. Flatow, Ira (February 14, 2014). “Andy Weir: ‘The Martian’”. Science Friday. Retrieved March 28, 2014. “The Martian”. Skepticality. Retrieved 5 March 2015. Kroll, Justin (March 12, 2013). “Fox Finds ‘Martian’ For Simon Kinberg”. Variety. Retrieved August 25, 2015. Sneider, Jeff (May 15, 2013). “Drew Goddard in Negotiations to Write and Direct ‘The Martian’ for Fox”. TheWrap. Retrieved August 25, 2015. Lidz, Gogo (June 18, 2015). “Matt Damon Spills About ‘The Martian’”. Newsweek. Retrieved August 25,2015. McKittrick, Christopher (August 20, 2015). “Life Goes On: Drew Goddard on The Martian”. Creative Screenwriting. Retrieved August 20, 2015. Staff (March 17, 2015). “That’s a wrap! 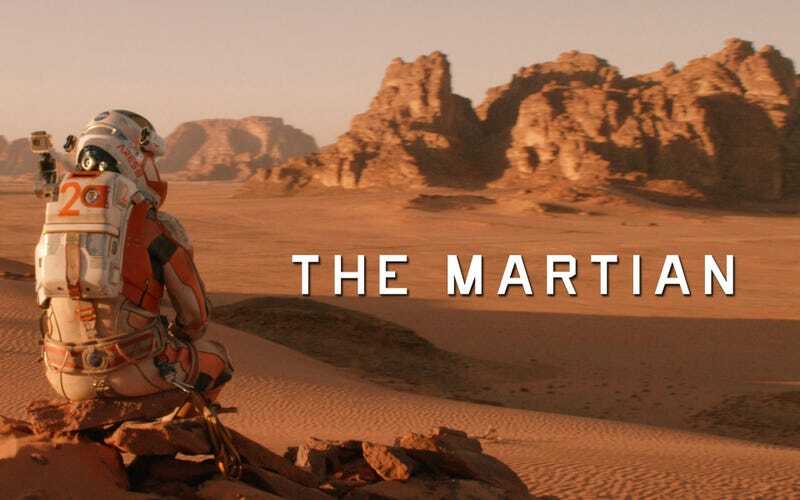 Hollywood’s ‘The Martian’ and Palestine’s ‘Arab Idol’ finish scenes in Jordan”. The Jordan Times. Retrieved August 26, 2015.